This recipe was submitted by "Lodi" back in 2007. I finally got around to trying it this morning (February 2013). Why did I wait so long? This is a delicious recipe that you can make in a flash! I did make a couple adjustments to her original recipe (below). I reduced the cinnamon to 1/4 teaspoon. I found that a whole teaspoon was a little overpowering. 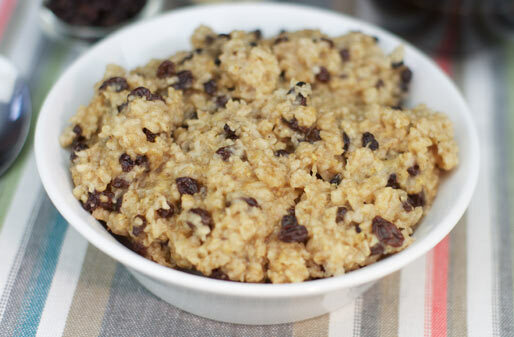 Also, I found that mixing 1 Tablespoon of brown sugar into the finished oatmeal added the perfect amount of sweetness. Overall, I really liked this recipe and I'll be making it again. 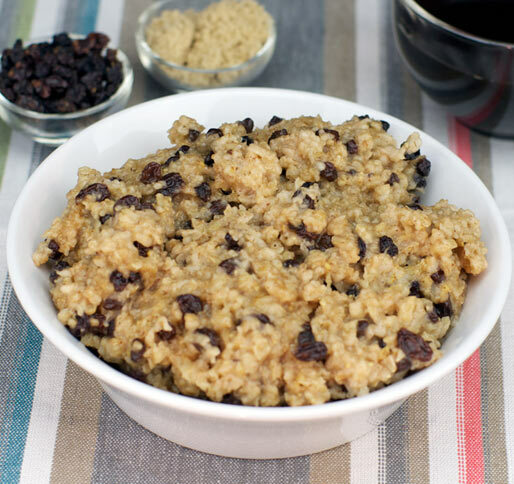 Mix the currants, oatmeal, and cinnamon together in a microwave safe bowl. Add water until all ingredients are just covered. Microwave for 90 seconds. Stir and add more water if needed. Microwave an additional 90 seconds. Let set 2 minutes. Serve and enjoy! Note: Use a fairly large bowl to make this. 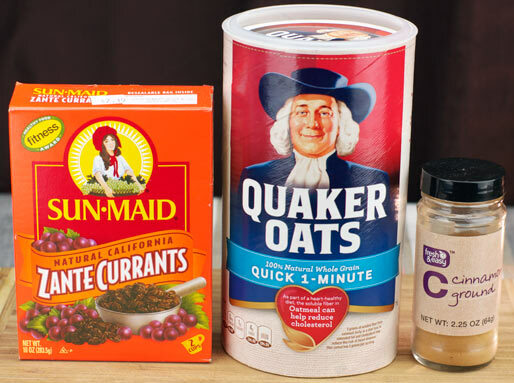 The oats will expand in the microwave. If the ingredients just barley fit the bowl, they will spill over as it cooks. This recipe is so simple and delicious. The currants are sweet enough that no sugar is needed. Try it chilled in the fridge overnight. Mr Breakfast would like to thank Lodi13 for this recipe. Recipe number 1969. Submitted 1/28/2007.